Boxing champions endure a nightmare, reveal how they were subjected to stay in such conditions at the hostel until many opted for lodges, hotels at their own expense. ON FEBRUARY 3, within a few hours of reaching the venue — District Sports Complex, Parbhani, out of 33 teams from various districts of Maharashtra, nearly 80 per cent of the sportspersons walked out of the venue to look out for an alternate accommodation at their own expense. 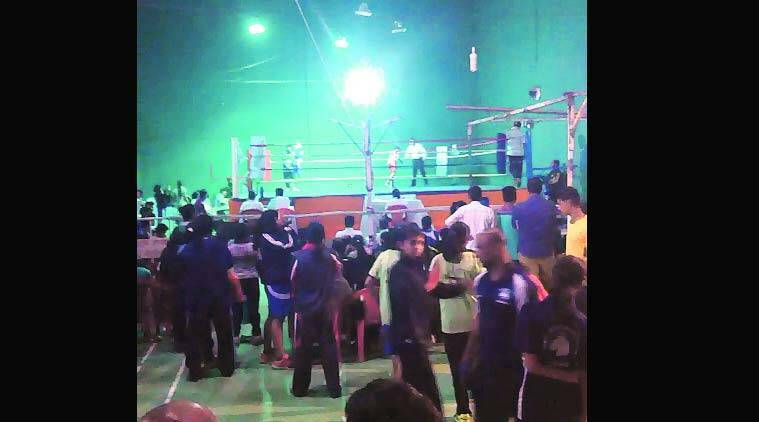 The reason—poor state of the sports complex in Parbhani that was selected for the Maharashtra State Girl Boxing Championship, held from February 4 to 6. At the hostel facility on its premises, there were just three bathrooms for nearly 200 girls of age group 8 to 18 years. The bathroom doors could not be locked properly. Eight to nine girls were accommodated in a room of 9X9 sq ft. The coaches of all the 33 district teams were accommodated in a single hall that was unclean and had betel leaf stains across the walls. Some of the ceiling fans were not working. Drinking water was not available at all on day one; even the toilets ran out of water. “I have travelled for boxing championships across the country and have never experienced something like this. Even the boxing ring area did not have adequate ventilation. There were neither ceiling fans nor exhaust fans; there was just one table fan. The condition of toilets and bathrooms was pathetic. How can we expect young girls to stay in such inhuman conditions that make them vulnerable to infections. I see it as discrimination against women sportspersons,” said Phiroze Pundol, the coach of the Pune team and three-times gold medalist of the West Zone boxing championship. Besides, he has participated in national games held in Hyderabad in 2002 and in Delhi in 2003. He and his team of seven girls shifted to a private hotel at their own expense. Being a small city, the teams had a hard time finding a decent hotel where they could stay. While those who decided early to shift, could find a place of their choice, the rest had to make do with a lodge, which they said was “still a better option than the hostel”. Amrit Dhanju, one of the parents who travelled from Pune to Parbhani with his 13-year-old daughter, said that after the experience at Parbhani, he will think twice before taking his daughter anywhere for any boxing championship. Boxing is a game of power and how can we expect the players to survive without water and fans, he asks. Dhanju stated even the hall that had the boxing arena, didn’t have a toilet and the one outside the hall was a ‘sulabh shauchalaya’, which required the users to pay an amount.